If you've read the Event Diaries prior to 2003 you may have noticed that I constantly complain about the brakes. 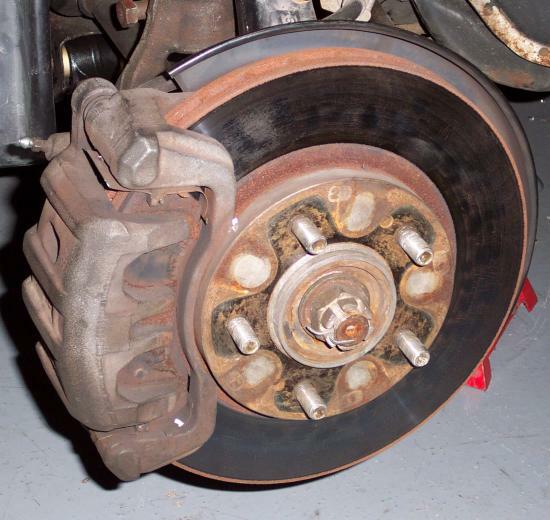 I finally got around to inspecting the brakes, and they were pretty much shot - rotors scored, pads worn nearly to the backing plates, and rust everywhere. Not race car material anymore. I guess 5 seasons on the same brakes will do that. Well, any requirement for maintenance is an opportunity for an upgrade, so we swapped out the front brakes for new units from TCE Performance. 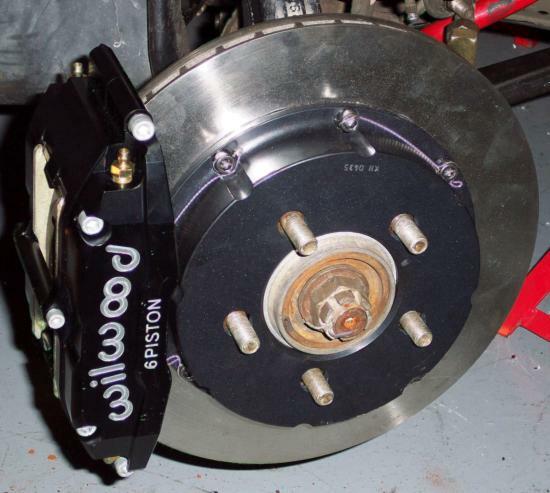 The replacement - Wilwood 6-pot calipers, and an aluminum-hat rotor. The rotor is marginally larger than stock. 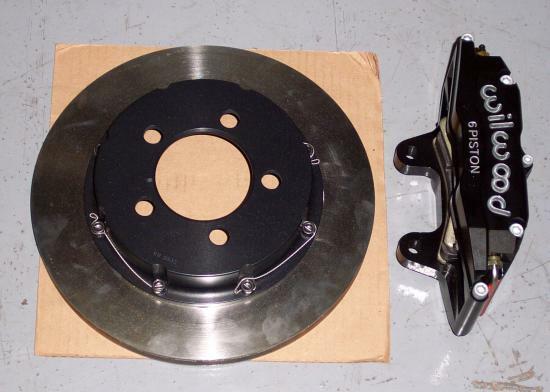 Autocross cars don't do a lot of extended braking, so we don't need the heat sink mass of larger rotors like road race cars do. The caliper is much lighter than stock, and should be a good deal stiffer too. This is how the caliper mounts. 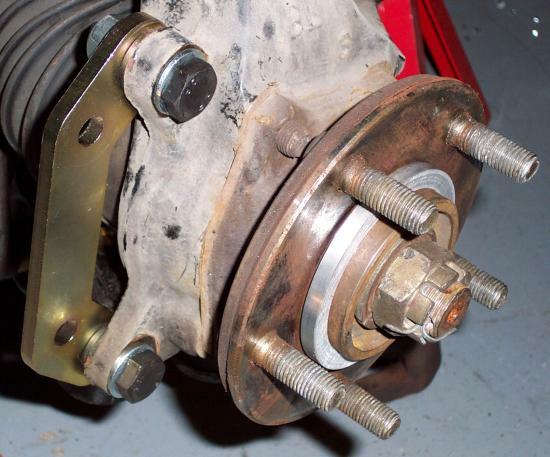 The Wilwood caliper is fixed, not floating like the OEM caliper, so it needs to bolt to an offset bracket like this. The rotor centre bore is slightly larger than the Talon hub's centre bore, so TCE provides this spacer ring to fill in the difference. A mounted caliper and rotor. Note the safety wire on the hat bolts. Nothing good ever came of a brake rotor detaching from a hat.